While at The Makeup Show in NYC I visited beauty brand Beauty Addicts and tested some of their amazing products including their illuminating facial highlighter. Here's a video interview with Janine from their team explaining how to properly apply their highlighter, GlimmerSHEERS, on your face. Highlighter is a great way to draw attention to your face. If applied in the right area it can make your cheekbones look higher, brighten your eyes and make your skin look dewy and glowing. It's a great secret weapon to have in your beauty arsenal. Apply highlighter directly below the arch on your brow bone, in the corner of your eyes, on your cheekbone and lightly on the length of your nose. 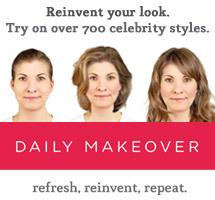 You'll instantly see a brightness to your face and a youthful glow. I love cream highlighters which come in sticks or compacts because you can apply them easily and blend with your hands or a brush as Janine recommends. They're a great summer accessory. You don't want to cake makeup on especially when the weather is hot. A gorgeous highlighter will add the right amount of color to your skin and give you a flushed, illuminating look. The formula is light and you can throw it on while walking out the door and look summer ready with a beachy-frill-free glow. I'm a big fan of the Beauty Addicts GlimmerSHEERS highlighter used in this video because the compact comes as a duo with two formulas in complimentary shades. 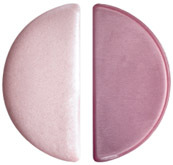 The Glimmer is a soft focus luminizing luster for a sun-kissed sheen while the Sheer is a clear highlighter that hydrates and enhances glowing skin. Janine used shade combination Motivate on me. In addition to this great highlighter set I also love The Multiple by NARS in Portofino. This stick can be used on the eyes, cheeks, lips and body. It's a creamy consistency with a beautiful sheer finish. 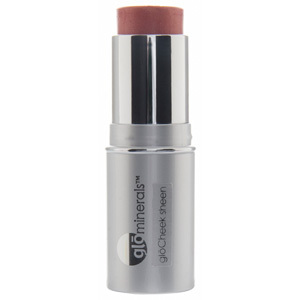 I'm also a fan of gloCheek Sheen by Glo Minerals. 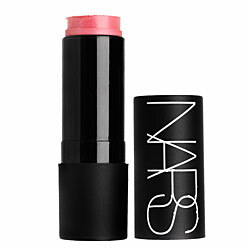 The stick comes in Peachy, a universally-flattering shade that subtly illuminates the cheeks and eyes.